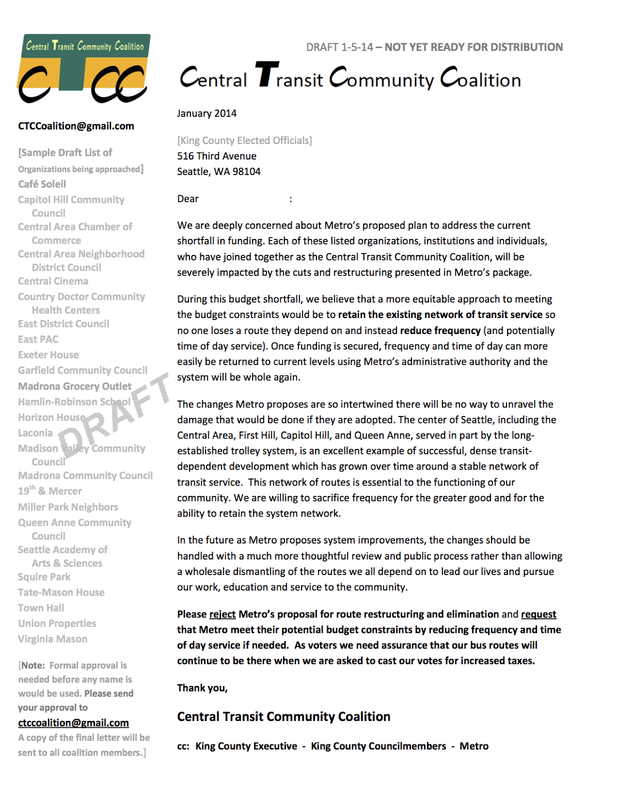 At the 1/13/14 meeting, the East District Council voted to join the Central Transit Community Coalition. Here is a link to a draft of their letter, summarizing their position, and here is their "information action sheet", summarizing the issues and how you can help. 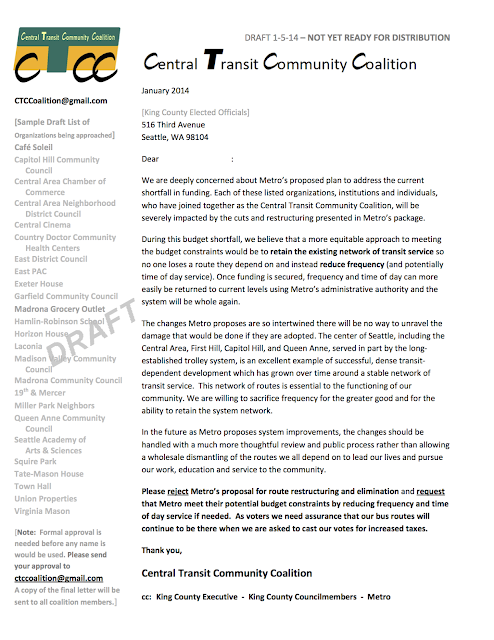 Here's the draft letter, for those with good eyes. (or use the above link). They are also collecting individual names to include in a list on the back of the letter, so anyone who would like to have their name included can also email ctcoalition@gmail.com to give their authorization to include their name.